Newsies will play its final performance at Broadway’s Nederlander Theatre on August 24. Directed by Jeff Calhoun and choreographed by Christopher Gattelli, at time of closing the production will have run 1005 performances; it had originally been intended to run for 101. Newsies is based on the 1992 Disney film of the same name and features original music as well as additional songs by composer Alan Menken and lyricist Jack Feldman, and a book by four-time Tony winner Harvey Fierstein. Inspired by the real events of the Newsboy Strike of 1899, Newsies follows a young New York City newsboy who leads a group of orphans in a protest against Joseph Pulitzer, William Randolph Hearst and other powerful newspaper publishers. 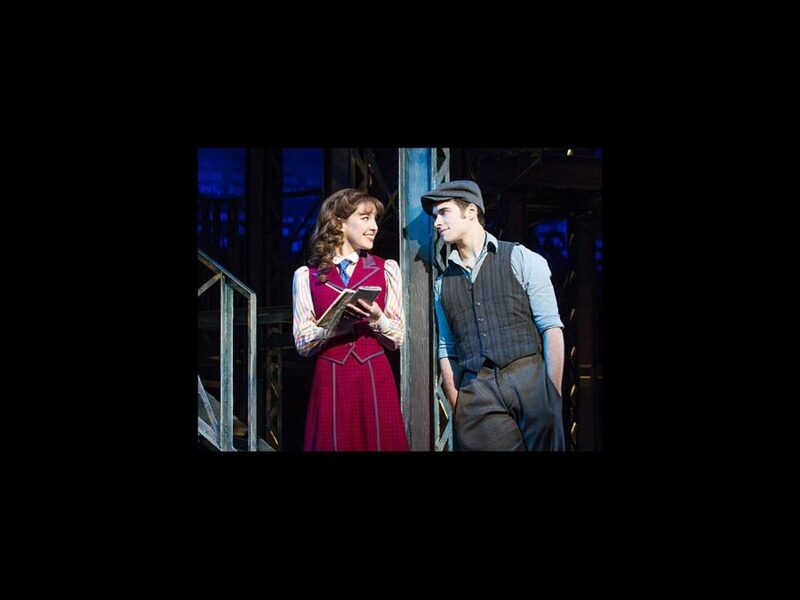 The tuner won two 2012 Tony awards, for Best Score and Best Choreography. The previously reported national Newsies North American tour will launch in October 2014 and play 25 cities over 43 weeks during the 2014-15 season. Newsies currently stars Corey Cott, John Dossett, Liana Hunt, Ben Fankhauser, Andy Richardson and LaVon Fisher-Wilson. The original Great White Way cast included Jeremy Jordan, Dossett, Kara Lindsay and Andrew Keenan-Bolger, who all also appeared in the world premiere of the stage adaptation at New Jersey's Paper Mill Playhouse in the fall of 2011.